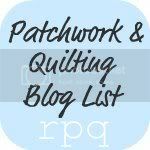 I am so excited to finally be sharing with you my Postage Stamp Quilt! I started it over a year ago in a quilt along, but as usual, lagged behind. I proudly share with you my finished product. I'm really excited, as it's only my second finished quilt of this size. Here is the top that seemed like it would be so easy, but went on for seemingly endless seams. I took my time pairing up all the strips into individual blocks, making sure each print was equally represented throughout. I'm really picky that way. It's part of my charm, really. I'm really excited that I not only decided to go with solids on this one, but that I ventured out of my comfort zone and pieced my backing. The solids took a lot of thinking, but I finally decided to pull out some predominant colors from the top and came up with these. So bright, sweet, and lovely, they really make me smile. I also had some leftover strips from the front, so I decided to break up the back and showcase them here. I have several more extra, and will eventually make a matching throw pillow. 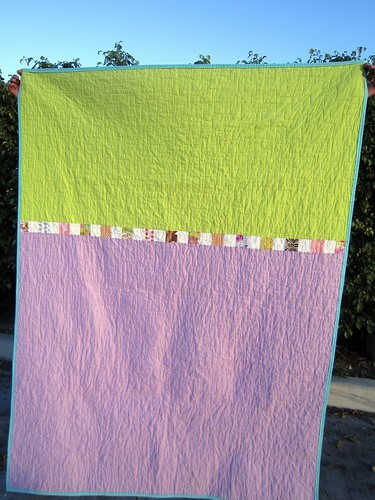 I spoiled myself and sent it out to be quilted. Chris, from the Cotton Pig, did an all over "wandering pipe" pattern that really echoes the layout of the stamps. Thanks for checking out my latest creation! 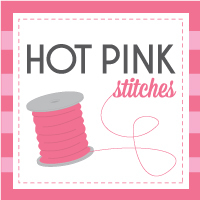 I'm linking up to the Festival of Scrappiness and Work in Progress Wednesday. Go check out the other eye candy! Wow Elena, that is fantastic! Quilts like this are the reason I joined two charm swaps this month! What an absolutely stunning quilt!!!!! Well done you! I just adore the postage stamp...and the back is perfection....I may borrow the idea of the strip....so so beautiful!!! 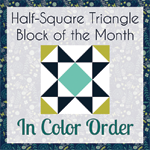 Wow - a beautiful quilt and considering the size of the pieces, it is amazingly rectangular! Beautiful! What size are your squares? I'm massing 2" ones at the moment and have yet to figure out exactly what I want to do with them. This pattern will be a contender for sure! Oh it is gorgeous... I definitely need to put one of those quilts on my to-do list. So pretty! And it reminds me of my postage stamp quilt top that has been sitting on my shelf forEVER. This is gorgeous!! I love the equally represented charms. Beautiful quilt! Also wanted to let you know you were given the Liebster Blog Award!! that is a lovely quilt. I think the simple back is a perfect match for the postage stamp front. Hi Elena, I awarded you with the Liebster Blog Award! Go to my blog and check it out!! Congrats!! So awesome! Was it the psi quilt quilt along? 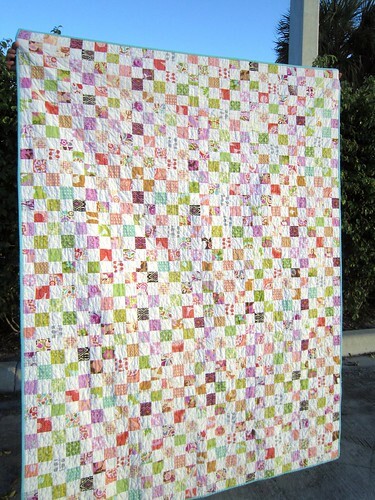 I love the postage stamp quilt I made in that one - I snuggle under it with the dog while watching tv. So lots of white was not my best idea! Absolutely love these! Love the detail on the stamps, and that stencil is gorgeous!